While the holiday season may be winding down, we’re gearing up for a new year of providing educational resources and support services to the prostate cancer community at no charge – and we need your help! If you’ve already donated to the Us TOO Holiday Hope campaign, we thank you for your support. If you’ve not yet donated, please consider supporting the work that we do at Us TOO providing knowledge for making informed decisions on all aspects of managing prostate cancer. 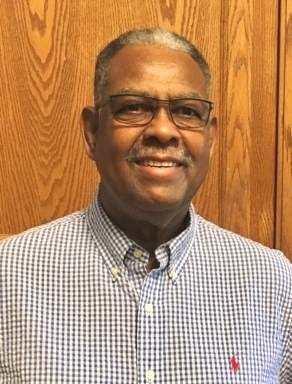 Us TOO support group leader Clarence Williamson recognizes that knowledge is power, and that education is the source of real hope for effectively managing prostate cancer. Clarence is educating his local community in Memphis about the importance of PSA testing since prostate cancer has no symptoms until it’s advanced. He’s able to access information and materials provided by Us TOO, thanks in part to donations from individuals like you from across the country. "The only knowledge I had about prostate cancer, prior to my diagnosis at 54 years old, was that it killed men in the most agonizing way. It was a secret and never discussed by family or friends. Only after my PCa surgery did I begin to learn about this disease and the difficulty of making information available to men. While volunteering with ACS, I was guided to Us TOO International. This opened the door and created the opportunity for new relationships with other PCa survivors and their families. To this day, I believe that early detection is the number one factor in treating prostate cancer. For this very reason, our Us TOO support group is committed to dispersing prostate cancer awareness information whenever and wherever we can. We use the US TOO website and Hot SHEET for much of our information and refer newcomers to do the same. Because most men never experience PCa symptoms during the early stages, we strive to meet with younger men at various public and private events in an effort to stress regular medical checkups and PCa screening, even when feeling healthy. Our Memphis group supports each other, newcomers and anyone seeking information about this disease." We wish you and your family all the best for a New Year filled with new information, new opportunities and hope!